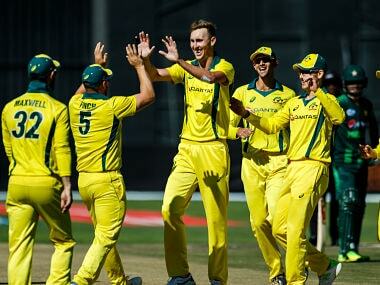 Follow live updates on the Zimbabwe T20I tri-series final between Australia and Pakistan at the Harare Sports Club on our live blog here. 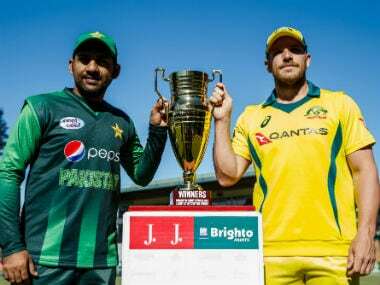 Pakistan batted first and opener Fakhar Zaman registered a career-best 73 as they raced to 194 for 7. 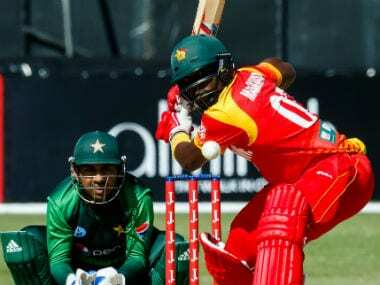 Pakistan knocked Zimbabwe out of the Twenty20 tri-series in Harare in a closely-fought encounter on Wednesday, beating the hosts by seven wickets with five deliveries to spare. 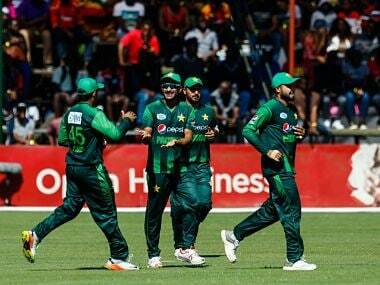 A career best 61 from opening batsman Fakhar Zaman, and a late flurry of boundaries from Asif Ali and veteran batsman Shoaib Malik set up Pakistan’s imposing 182 for 4.